If you experience persistent snoring, wake up tired even after a full night’s rest, feel drowsy during the day, or find it challenging to focus, you may have a potentially severe condition known as sleep apnea. 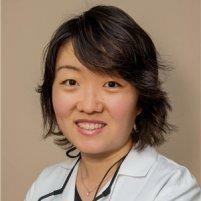 At Wintergreen Family Dental in Rockville, Maryland, sleep apnea expert and dentist Huixin Wang, DDS, and her skilled, compassionate team offer convenient and effective sleep apnea treatments for patients from across the Rockville, Maryland and neighboring communities. Sleep apnea is a common, but possibly severe sleep disorder that affects approximately 18 million adults across the United States. Sleep apnea can cause your breathing to slow down, or sometimes stop altogether, while you sleep. As your brain registers the absence of oxygen, it stimulates breathing again, prompting you to wake up while you sleep. These lapses in breathing can last anywhere from a few seconds to several minutes, and can occur more than 30 times in a single hour of sleep. Obstructive sleep apnea: The most common form of the disorder, obstructive sleep apnea (OSA) takes place when your tongue and the soft tissues of your throat collapse and block your airway. Central sleep apnea: This form of the disorder happens when your brain fails to send the appropriate signals to the muscles that control respiration. Complex sleep apnea syndrome: This rare form of sleep apnea is defined as having both obstructive sleep apnea and central sleep apnea. What are the potential risk factors for obstructive sleep apnea? Obstructive sleep apnea is more prevalent in people who are overweight, but the condition can affect people at any age, even children. For example, young children who have enlarged tonsil tissues in their throats may experience obstructive sleep apnea. Does sleep apnea pose any health risks? Yes. If you have sleep apnea, chronic, disruptive snoring isn’t the only thing you have to worry about. Untreated sleep apnea can increase your risk of developing insulin resistance and type 2 diabetes, high blood pressure, metabolic syndrome, liver problems, and impotence. Sleep apnea can also make you more likely to experience a heart attack or stroke. With sleep apnea, you’re less likely to experience restorative sleep at night. This lack of rest can cause you to doze off unexpectedly during the day or cause a lack of focus, increasing your risk of accidents on the road or at work. Once diagnosed with sleep apnea, the best treatment approach will depend on your specific diagnosis, including the type of sleep apnea you have and fully determining the severity. In conjunction with your doctor, Dr. Wang can thoroughly evaluate the possible causes and recommend a suitable treatment after a sleep study (if needed) is performed. For patients with mild sleep apnea who are looking for a simple and effective solution, Dr. Wang can also provide a wide variety of oral appliances designed to relieve snoring. These appliances, such as a snore guard, are designed to move your jaw into an optimal position to keep your airway open. You may need to try more than one oral device before finding the one that works best for you. Once you find the best appliance, you’ll still need to follow up with Dr. Wang regularly to ensure that the fit remains appropriate, as well as to reassess your condition. 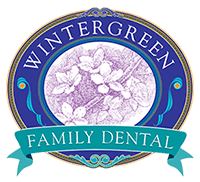 If you’re experiencing sleepless nights and may suspect you have sleep apnea, call or book online with Wintergreen Family Dental in Rockville, Maryland today.